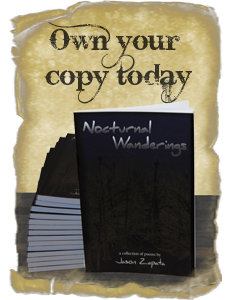 Cthulhu is a name synonymous with fear and madness. He was introduced to the world by the famous writer, H.P. Lovecraft. 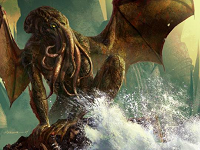 His first appearance in literature was the short story entitled, “The Call of Cthulhu.” This Great Old One is described as being vaguely humanoid in appearance, but possessing the characteristics of an octopus and dragon. 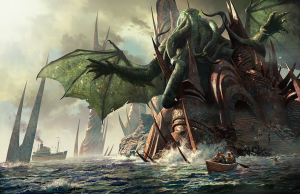 Cthulhu slumbers through the centuries somewhere in the South Pacific, within his sunken city of R’lyeh. His influence on humanity is limited by the fathoms of seawater he’s submerged in. Despite this, Cthulhu affects mankind on a subconscious level. He plagues sensitive minds with nightmares. Those driven insane by his call often become cultists that worship him. These devotes are known to chant “Ph’nglui mglw’nafh Cthulhu R’lyeh wgah’nagl fhtagn.” This alien language translates to: In his house at R’lyeh, dead Cthulhu waits dreaming. Cthulhu is an amoral being. He is utterly devoid of human concepts such as love and hate. He is a reflection of the greater cosmos and the seeming insignificance of man. This incomprehensible nature is more horrifying than any evil humanity has faced. 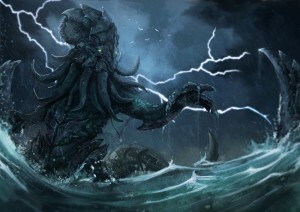 And yet, why does the concept of Cthulhu and Great Old Ones somehow ring true? Our ancestors marked the edges of maps with sea monsters and dragons. These monsters were physical representations of the unknown. 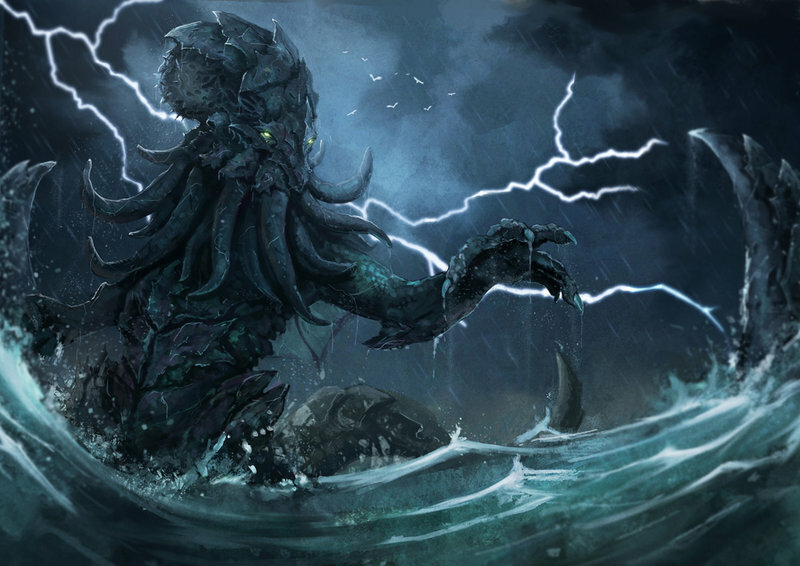 Perhaps Cthulhu has always existed and was simply given form by the writings of Lovecraft?